The Brecknell 6702U-30 POS scale has a capacity of 30 pounds and a readability of 0.2 ounces and a pan size measuring 6 by 10 inches. 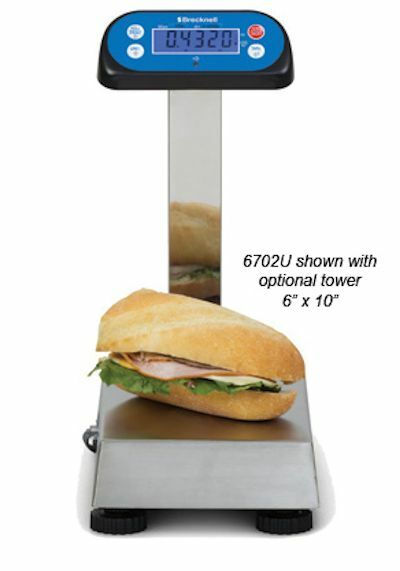 The Brecknell 6700U series POS bench scales offers the most advanced features and interfaces of any POS scale. Available in three pan sizes, these scales offer both RS232 and USB interfaces with quick disconnects to connect with most cash registers and POS systems. Also, the "Touchless" tare function enhances food handling safety. Functions include check weighing, counting and peak/hold.